The name of "A. Fielding," or "A.E. 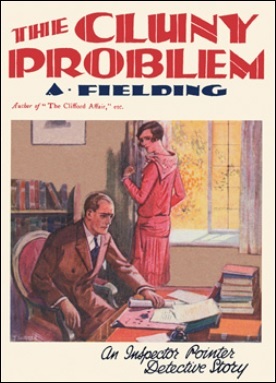 Fielding," was signed to twenty-five detective novels, published between 1924 and 1944, but the identity of the author turned out to be a mystery unto itself and readers have speculated for a long time who could've been behind the pseudonym – with suggestions running from one Archibald E. Fielding to a Lady Dorothie Feilding. Back in 2014, our resident genre-historian, Curt Evans, published a fascinating blog-post that helped to finally settle the question. Evans reported that A. Fielding was identified by John Herrington as "a middle-aged English woman by the name of Dorothy Fielding" who "enjoys gardening" and used to reside at Sheffield Terrace, Kensington, London. A posh place where G.K. Chesterton was born in 1874 and Agatha Christie had a home there around the same time as Feilding! He also points out that, while Christie was busily working on The ABC Murders (1936) and Murder in Mesopotamia (1936), Feilding was down the street pounding away at The Case of the Two Pearl Necklaces (1936) and Mystery at the Rectory (1936) – which intrigued me enough to place her on my wish list. Not surprisingly, it actually took me several years to finally arrive at her work, but recently came across a title in her Chief Inspector Pointer series that sounded really promising. The Cluny Problem (1929) is one of the earlier titles in the series and takes place in the ancient French town of Cluny, a town of lace, abbeys and ruins, where we find two of the key-characters of the plot. One of them is an American journalist, Vivian Young, who's a reporter on the Texas Whirlwind and has recently become engaged to an English nobleman, Sir Anthony Cross. Cross is one of the directors of the big South African Diamond Combine and is personally looking into "a constant leakage of diamonds sent to Amsterdam" by the Diamond Combine in South Africa, which had been looked into by the firm's detectives and they determined that the brains behind this operation was not in the Netherlands – as the trail appeared to end in France. So Cross had left Capetown to make further inquiries in the matter. Young, on the other hand, is visiting Cluny purely as a tourist and wants to admire the ancient abbeys and ruins, but she learns from an school friend than an old, but passionate flame, is staying in the town as well. She describes Mrs. Brownlow as "a vamp" and her husband was once suspected having drowned a young fellow, who "went wild over her," in a river in Shanghai and came close to standing trial. So she decided to stick around as a guest of Monsieur Pichegru, a wine grower who takes paying guests, at his Villa Porte Bonheur. And not long thereafter, the villa becomes the stage for a double tragedy. After a costumed ball, Anthony Cross and Mr. Brownlow are found inside the cedar room, windows latched from the inside and the door was locked with the key sticking inside the lock, and all the evidence suggest they killed each other in duel – as they were in opposite corners with a gun near them. However, I should mention here that you not expect too much from the locked angle, because the explanation is given halfway through the story and has a stock-in-trade solution. One of those one-size fits-all explanations that writers seem to use when they want a body inside a locked room, but have absolutely no idea how to explain it and don't want to go for a secret passageway. Only writer has ever done something truly clever and original with this locked room trick was John Russell Fearn. Anyway, Chief Inspector Pointer happened to be in attending a police conference in the region and is asked by the Home Office to act as an observer and oversee the French investigation and the pair of detectives he assisted were great characters – who deserved their own series. Or at least their own standalone novel. Commissaire Cambier is in charge of the case and is a matter of facts person who constantly had to lecture his assistant, Rondeau, to not embroider or twist. You see, Rondeau is a follower of "Poe and his Dupin" and "the Goddess of Reason." 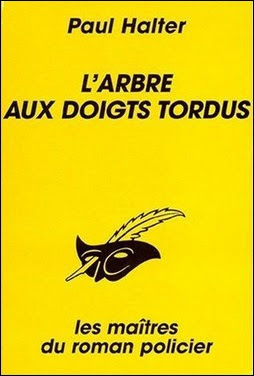 He even writes detective stories, but Cambier is of the opinion that "detection is a science" and considers detective fiction to be "poison to the intelligence." Add to that a Scottish private investigator, Mackay, with his thick, Scottish accent and you have assembled yourself an amusing little Justice League. The plot itself is fairly decent. Undoubtedly, the best aspect of it is what exactly happened in the cedar room, which is soon proven not to have been a duel when the medial examiner reveals a gap of half an hour between the two deaths. Pointer finds a third, unaccounted bullet that definitely settles the question. The answer to what happened there reminded me of those closely timed, intricate double murders found in the early work of Christopher Bush (e.g. The Case of the April Fools, 1933). On the other hand, I had to place a question mark behind the main clue of the murderer's identity. There were a number of clues, or hints, that pointed in the direction of the murderer and the motive, but, let's just say, the biggest clue is easily missed by readers who don't have English as their first language. I was reminded of what Ho-Ling once told me about the Spider Mansion story from Detective Conan. Anyway, despite missing that one clue, I did correctly identify the murderer by picking up on some of the more subtle hints. 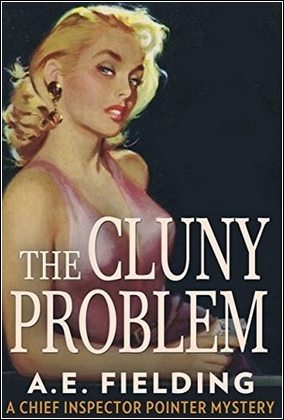 On a whole, The Cluny Problem was a decent detective novel, not great, but decent and can be recommended to fans of early the Ludovic Travers novels by Bush. I would appreciate any and all recommendations, because I want to return to Fielding in the near future. At the moment, The Footsteps That Stopped (1926) and Scarecrow (1937) are at the top of my Fielding wish list, but I would like to know what everyone considers to be her best work. 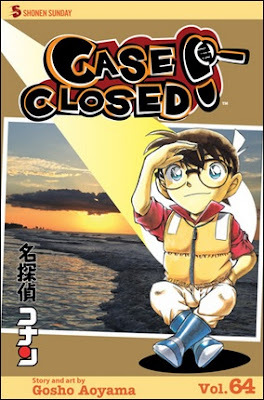 Last month, I reviewed the 63rd volume of Gosho Aoyama's long-running series, Detective Conan, published in the U.S. under the title Case Closed and the stories in that collection were jam-packed with unusual, high-quality impossible crime material – ranging from an inexplicable poisoning at a revolving sushi bar to a phantom car that was seen flying. A gem of a volume that will always stand as one of my personal favorites in the series. So the impossible crime, two of them focusing on cars, was a recurring motif of that volume, but the 64th also had a dominant theme running like a red thread through all of its stories. All of the stories here, in some way, draw on the past of the semi-regular characters or events that have occurred in previous volumes. And scars! Scars play an important role in the two main, interlinked stories. 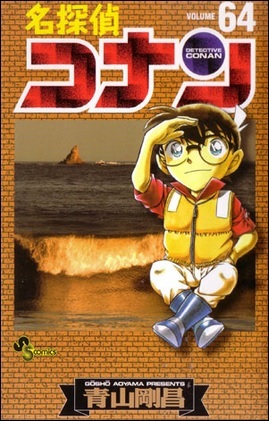 The opening story marks the return of, what was supposedly to be, a one-time character from volume 45, Ejiri, who was the victim of an attempted murder, but Conan and Doc Agasa saved his life – which is why he filled in for the latter when he was unable to take the Junior Detective League on a short fishing trip. On their return, they pass a secluded spot in the sea known as Horn Rock. A cursed, rocky islet, shaped like a giant horn, legendary for dooming fishermen and blessing children. So they decide to take a brief detour and explore the jagged rock, but upon their arrival they make a gruesome discovery. It begins when they find words carved into a rock wall, "mackerel, carp, sea bream, flounder," with a swimming fin jammed between two rocks right next to the words. This leads them to the body of a woman in a wet-suit and the clean mouth piece of the oxygen masks makes it clear to Conan that this murder. A fourth clue turns up when they discover the victim's diving watch with Akamine Angel Fish Club engraved on the back of the watch, but the word Fish had been scraped off. At this moment, three of her diving friends turns up and becomes very clear that one of them left her behind on the rocky islet to die, which she understood and left behind a trail of clues that would identify her killer – only problem being that this elaborate dying message doesn't really translate into English. And that's often a problem with dying messages, codes and word puzzles in this series. Nevertheless, the story was a fun one and the return of a relatively minor character from a previous case, once again, drives home the idea that the series takes place in a (living) universe of its own. 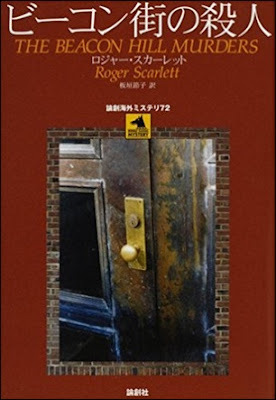 The second story primarily serves as an introduction to the third case and has a pretty obvious explanation, but still had some points of interest. A very wealthy, but blind, woman bought a lottery ticket on a whim and won 100 million yen (about 1 million dollars), which she wants to give away to the boy who saved her as a child. She only knows the boy's nickname and that he suffered an injury that should have left a scar across his chest or back. Only problem is that two men came forward with a long scar on their chest or back who claim to be the boy from twenty years ago. So she decided to hire the famous detective, Richard Moore, to figure out who of the two is speaking the truth. 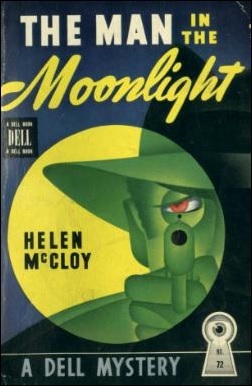 The answer becomes pretty obvious, as the story progresses, but Conan discovers that the regular cast of police-characters are staking out the place outside and the reason is that one of the scarred men could be a notorious serial killer who gave Superintendent McLaughin (originally named Kiyonaga Matsumoto) a facial scar – before disappearing over fifteen years ago. A note for the curious: the blind client (partially) sees through Conan's secret when she finds out that he's not "a teenager whose voice hadn't broken yet," but "a little boy." Or, as she calls him, "Sherlock Holmes disguised as a child." The third case deals with a final attempt by the police capture this serial killer, who's known to whistle "Let It Be," but ever since this killer disappeared from scene fifteen years ago the statute of limitation has been running out. So they only have one shot left to bring this sword-wielding murderer to justice, but then, inexplicably, the killer strikes again. This time the victim is a well-known criminal psychologist, who issued a challenge to the murderer on television, which ended with him being stabbed to death in his condo. However, the victim left a (solvable) dying message this time. So as a detective story, this serial killer case is pretty good and relatively well-clued, even if some of the hints hinge on the jargon of Mahjong players, but where the plot really shines is in telling the stories of the policemen who usually play second-fiddle to Conan in the background. We get to know how the Superintendent got his face-scar and the reader is told the tragic story of a police detective who never made it into the series, because he was killed in an attempt to apprehend the murderer. And then there is, what is known as the Metropolitan Police Love Story, between Takagi and Sato that actually appears to have some real progress here. This whole story-arc strongly reminded me of the 87th Precinct series by Ed McBain. Finally, the last chapter lays the premise of a new story and sees the return of Serena Sebastian's incomparable relative, Uncle Jirokichi, who has become a foil to that famous gentleman burglar, Kaito KID – who has matched wits with the old man in volumes 44 and 61. A fake Kaito KID has promised to loot his "impenetrable safe," known as the Iron Tanuki, which had been built by "the renowned 19th-century craftsman Kichiemon Samizu just before his death." This attracts the attention of the real Kaito KID and announces that he's coming for "the treasure in the tanuki's belly." And this story will come to a head in the next volume. On a whole, this was another pretty solid volume with good stories and interesting character-development for the police-detective characters. The next volume is already on my pile, but will probably save that one for next month. 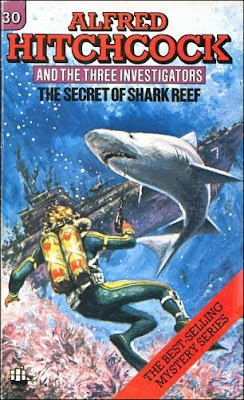 The Secret of Shark Reef (1979) is the thirtieth outing of that "intrepid trio" from Rocky Beach, California, which was written by the lauded crime novelist and pen-for-hire, Dennis Lynds – who wrote under the name of "William Arden" for this series. 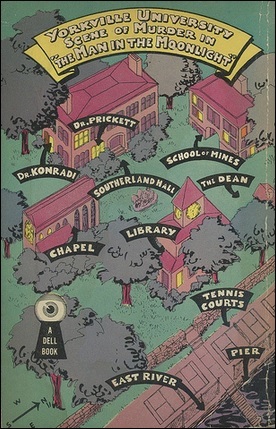 The book is an important one as it marked the final appearance of the famous mentor of the boys, Alfred Hitchcock, consequently ending the second chapter of the series. A chapter that began when the series-creator, Robert Arthur, passed away and passed on the torch. Fittingly, the final case of this last great period of The Three Investigators, as the last thirteen books are generally held in lower regard, turned out to be a memorable one – which brings Jupe, Pete and Bob to an oil-platform in the ocean off Santa Barbara. 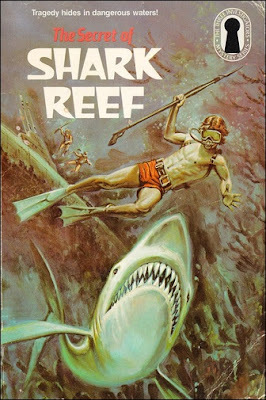 Despite what the book covers suggests, the menacing-looking sharks are the least of their problems! The father of one of the investigators, Bob Andrews, is a newspaper reporter and is asked by his paper to write a story on the troubles faced by the first oil-rig in the blue waters of the Santa Barbara Channel. A group of environmentalists are trying to prevent them from drilling, because the Channel Islands are practically untouched and are teeming with birds, plants and marine life. So Mr. Andrews asked his son if he, alongside with his two friends, would like to accompany him on his trip, but he also a surprise for them when they arrive at the oil-rig. The chairman of the protest committee is a well-known mystery novelist, John Crowe, who honors "the junior detective team" by requesting one of their famous calling cards for his collection of mystery mementos. And even more importantly, Crowe has a problem for them to solve that concerns the lead boat of the committee. A fast, powerful craft that consumes a great deal of fuel, but the captain of the Sea Wind always makes a careful calculation to ensure there's enough fuel in the craft to remain at sea the full twelve hours they try to keep up the protest – except that they inexplicably ran out of fuel three times in the past week. There were no leaks in the fuel tanks or lines and the engine checked out. So what happened to the lost fuel? Jupiter "Jupe" Jones is the brains of the team and he carefully studies the logbook of the Sea Wind, Crowe's notebook and charts of the islands, which tells him exactly how the fuel was lost. However, this answer immediately poses the problem of who, or what, is responsible for the lost. As the boys grapple with this problem, the athletic Pete Crenshaw gets an opportunity to slip into a wet-suit and search for a potential solution under water. Bob Andrews, on the other hand, has to tackle a problem that Sam Spade, Philip Marlowe and Lew Archer never had to wreck their brains about: how do you follow a suspect into a bar where no minors are allowed? So this keeps them busy until a hurricane rocks the regions and temporarily brings an obscure passage from the Second World War to the surface, which is revealed to be the true driving force behind everything that happened around the oil-rigs. At this point in the story, it really becomes a matter how they'll resolve the case, because the (main) villain is very obvious after this revelation. And this will naturally lead to some tight spots as the boys have to tangle with the perpetrators and they get help from an unexpected ally. So there's not much else I can say about the plot, or story, except that the World War II plot-thread was better handled than the environmental background, which gave me 'Nam-like flashbacks to Captain Planet. A cartoon show that was supposed to teach children to recycle and take care of the environment, but was so preachy that all it made me want to do was litter and fill the oceans with non-degradable plastics. Luckily, the plot of The Secret of Shark Reef only showed, without preaching, before (largely) moving on to the obscure, long-lost secret that was hidden beneath the waters of the Santa Barbara Channel. I think this secret, along with the answer to who and what was responsible for the fuel lost, constitutes the best parts of the book. Combined with some splendid scenes, like when the hurricane hit, makes this a splendid read of the wild sea, sharks, sabotage and "monstrous shapes that rise from the ocean." And a fond farewell to the long-time mentor of the boys, Alfred Hitchcock. 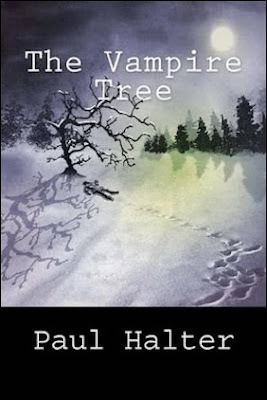 On that note, I want to remark that Hitchcock's successor in the series makes no sense now that I have read this book. I have not read the next book in the series, M.V. Carey's The Mystery of the Scar-Faced Beggar (1981), but I know it introduces a fictional replacement for the famous movie-director, Hector Sebastian – who acted as a mentor to Jupe, Pete and Bob until their last case (The Mystery of the Cranky Collector, 1987). However, that role should have gone to the character of John Crowe, because "John Crowe" is one of Dennis Lynds' pseudonyms. Lynds was picked by Arthur to continue the series and perhaps therefore he came up with the name "William Arden," because he was going to act as a warden to the boys. And, therefore, his fictional counterpart would have been perfect to fill the gap that Hitchcock left behind when he passed away in 1980. It makes sense, right? Anyway, my next post will probably be either a review of Case Closed or a promising looking detective novel from the 1920s. So you have that to look forward to! "There are depths beneath depths in what happened last night—obscure fetid chambers of the human soul. 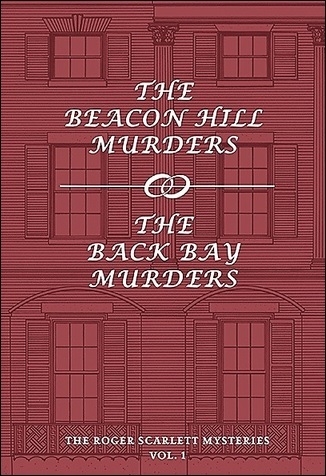 Black hatreds, unnatural desires, hideous impulses, obscene ambitions are at the bottom of it..."
The Beacon Hill Murders (1930) is the first of five detective novels by "Roger Scarlett," a shared pseudonym of Dorothy Blair and Evelyn Page, who were part of the flock of American mystery writers that followed in the footsteps of S.S. van Dine during the 1930s – a following that included such luminaries as Clyde B. Clason, Stuart Palmer, Rufus King and Ellery Queen. You can hardly miss the influence Van Dine had on their maiden novel. 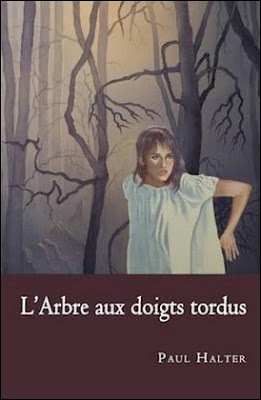 Blair and Page had not yet found their own voice and the result is an emulation of Van Dine, which was not badly done, but lacked the originality of the later titles I read. 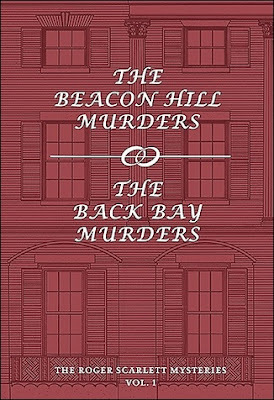 The Beacon Hill Murders takes place on Boston's Beacon Hill, an affluent neighborhood where the houses are as old as the money of its dignified residents, but the newest denizens of the neighborhood were definitely not a part of the old Bostonian aristocracy. Frederick Sutton had started life at one of the bottom-rungs of society and accumulated a large fortune as "a stock exchange gambler." So now that he has money he wants to climb to the social ladder, which is why he moved his family to an old mansion in a respectable neighborhood and threw a dinner party for a small, but not unimportant, group of people – one of them being his prim lawyer, Mr. Underwood. Underwood is aware of the fact that Sutton is preparing to "break his way into society" and wanted to use him as "a rung in the social ladder," but he was not in a position to refuse the invitation from his client. And he's quite surprise to find a well-known socialite as one of his fellow guests. Mrs. Anceney is "a woman of great charm," whose name frequently appeared in the social columns of the newspapers, which makes Underwood wonder why, of all people, she would accept to be a dinner guest of the Suttons. A surprise that becomes a shock when, at the end of the evening, Mrs. Anceney is found standing over the dead body of her host in his private sitting room. She appears to have been the only person who could have pulled the trigger of the gun that was found in the very same room. So the police is immediately notified and Underwood calls his policeman friend, Inspector Norton Kane of the Boston Police, but, shortly after his arrival, this straightforward murder case morphs into a genuine conundrum when their primarily suspect is brutally murdered – while alone in room with a policeman at the door. I have to pause here to point out that nobody, who commented on this book, accurately described the locked room components of the plot. Robert Adey listed The Beacon Hill Murders in Locked Room Murders (1991) and described only the second murder as a slaying in a room under police guard. Curt Evans wrote in his introduction that "both killings are essentially clever locked room problems" that should "severely test the acuity of the reader," while Ho-Ling Wong didn't even touch upon the impossible-element of the story in his double review of the first two Scarlet novels. So allow me to clarify: only the shooting of Sutton qualifies as a proper impossible crime. Sutton was shot when he was alone in a room with Mrs. Anceney. The four windows in the room were locked tight, which means that a third person could have only entered, or left, the crime-scene through the door into the hallway – in which case this person would have been caught in the act. The answer as to how a third person could have a fired the fatal bullet into this room is a variation on a legitimate locked room trick I have seen before (several times, in fact). On the other hand, the room in which the second murder was committed was not constantly guarded and the murderer simply slipped in-and out of the room. However, the murder of Mrs. Anceney does turn out to play a key role in the murderer's alibi, which was nicely done, if risky. So figuring out the murderer's movement, as well as the baiting of a failed trap, takes up the first half of the book. 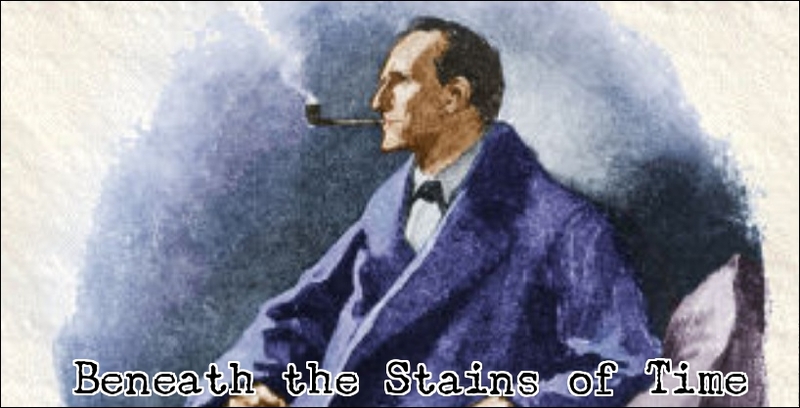 During the second half of the story, the reader is let in on all the potential motives of the family members and dinner guests, even Underwood is furnished with a motive, which is another aspect where this inaugural novel differed from the later ones – because the familial intricacies are far less pronounced here. And that's reflected in the relatively weak motive of the murderer. The third and fourth title in this series, Cat's Paw (1931) and Murder Among the Angells (1932), had both very strong and even original motives, which were adequately clued and sprang from the (hidden) relationships between various characters that had been described in great detail. The Beacon Hill Murders is slightly more muddled in that regard and the motive was obviously inspired by one of Van Dine's well-known detective novels. Evans called it "a surprisingly dark thread of Freudian psychology" that ran through the motive and explanation of the crimes. The thread in question is, without question, a dark one, but one that dented the fair play aspect of the story, because the murderer was not entirely sane. And a mentally unstable killer always makes it harder for the armchair detective to gauge the truth. I did had an inkling that the murderer may not have been entirely rational, but zeroed in on the wrong person based on something that happened very early on in the book and the circumstances of the second murder. All of that being said, The Beacon Hill Murders is an imperfect, but promising, debut and could have been better had the authors not so closely imitated the plotting-style of Van Dine. Nevertheless, Blair and Page deserve credit for breaking out of that mold and finding a voice of their own, which resulted in the gem known as Murder Among the Angells. Not to mention that they would go on to exert influence of their own over the development of the Japanese detective story! So that alone makes their maiden voyage an interesting read, but, by itself, it's not that bad of a detective story. Undistinguished, perhaps, but definitely not a bad for a first try! By the way, Ho-Ling ranks the second entry in this series, The Back Bay Murders (1930), right alongside the first one, on account of them being "quite similar in design," but everything I read about the plot reminds me of the work of Anita Blackmon. So that alone is tempting me to pick it up before In the First Degree (1933). But whichever one I'll pick next, it will not be the subject of my next blog-post. I've now reviewed three of them, back to back, which means there are only two of them left on the big pile and want to save them for the coming months.